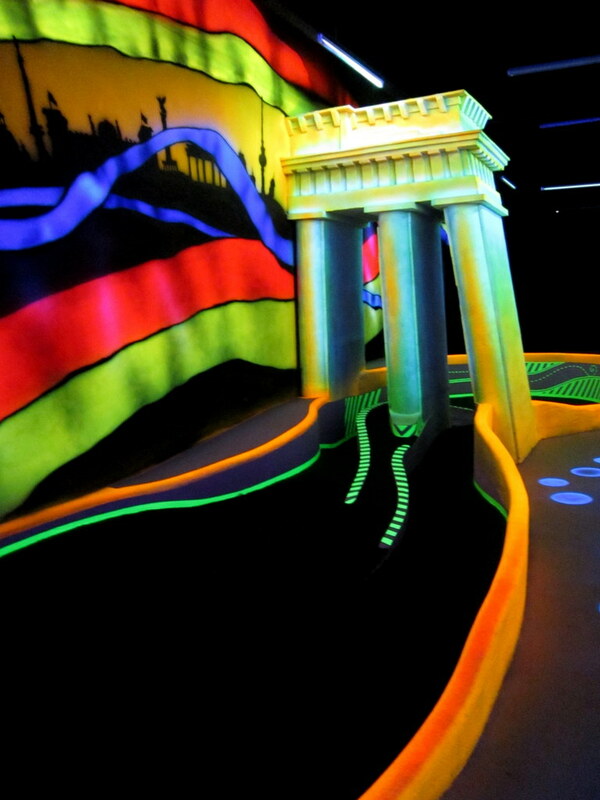 Blacklight Mini Golf has proven to be a major money maker for all indoor entertainment centers for a variety of reasons. . We turn the concept of a mere mini golf course into a ‘Disney’-style ATTRACTION. 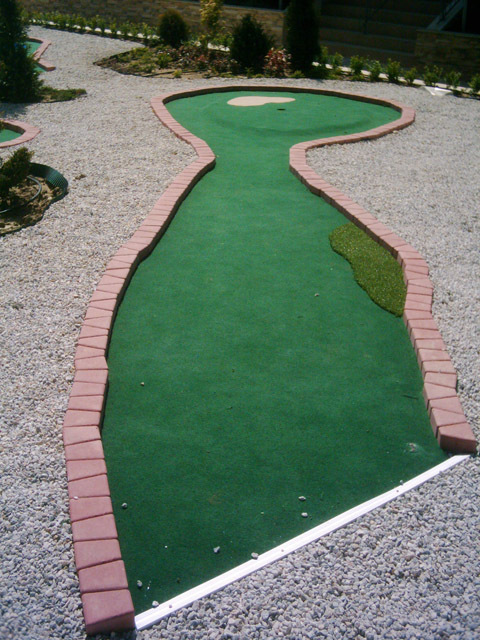 All our props are unique and hand made by artists and sculptures. 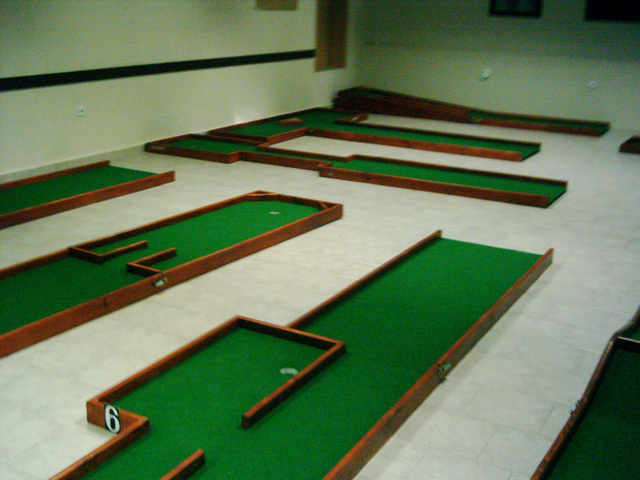 We do not offer you a ready made theme, but we design a unique one to suite your needs, by closely discussing them with you. 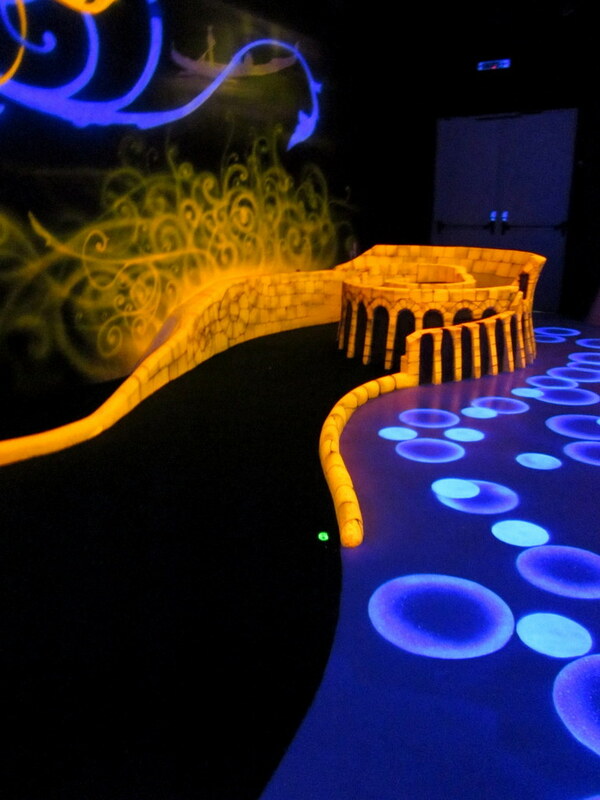 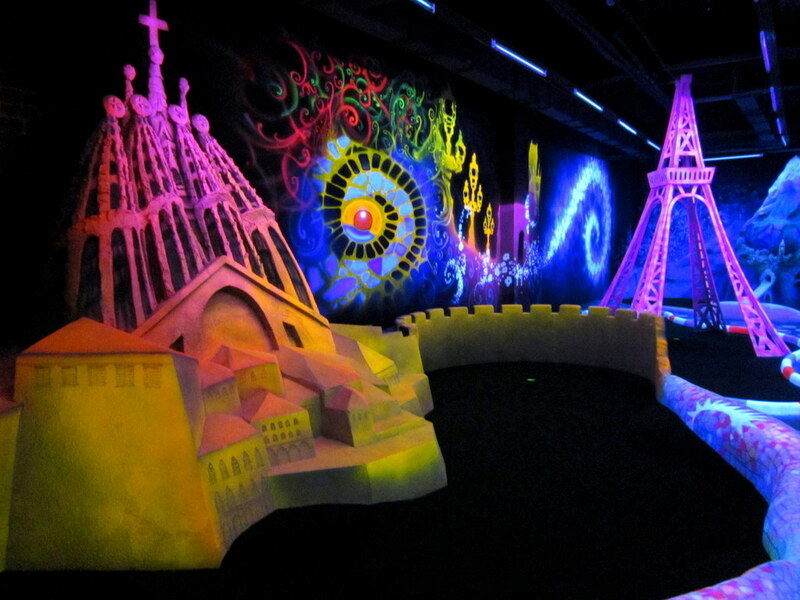 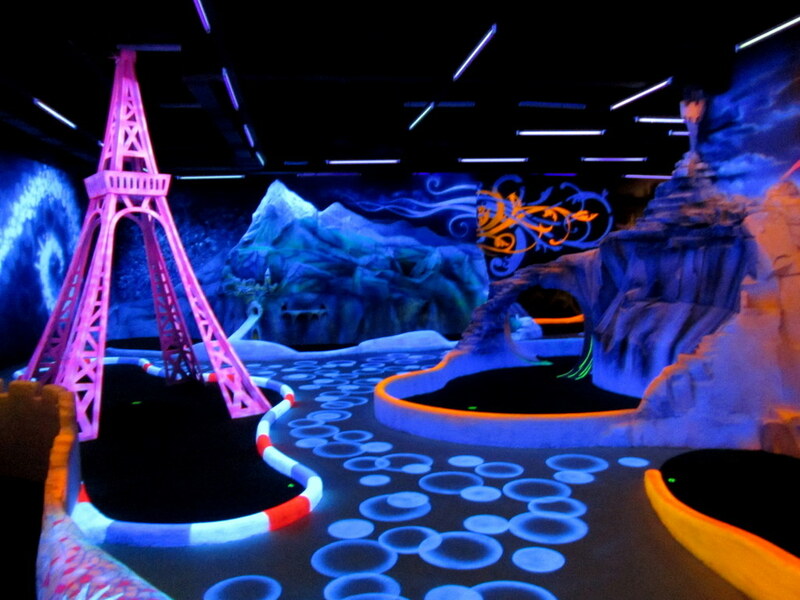 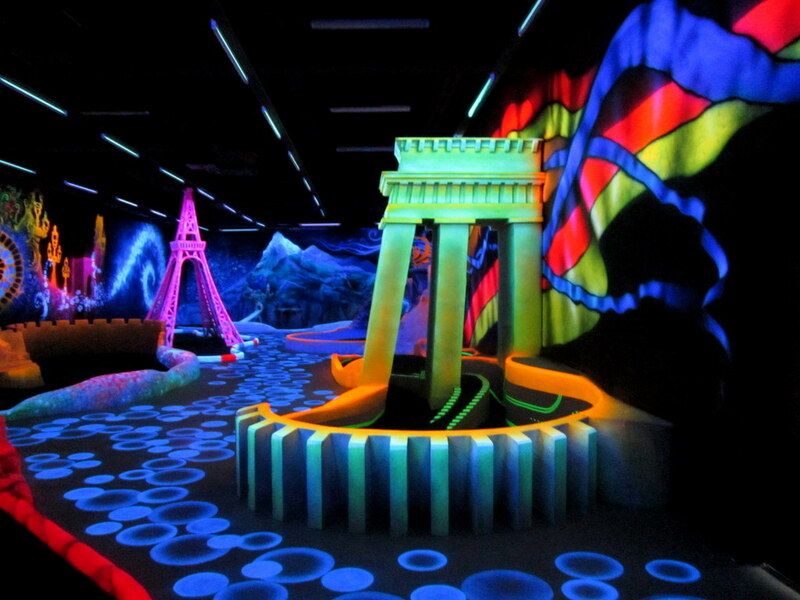 Glow Miniature Golf offers possibilities of impressive financial returns. 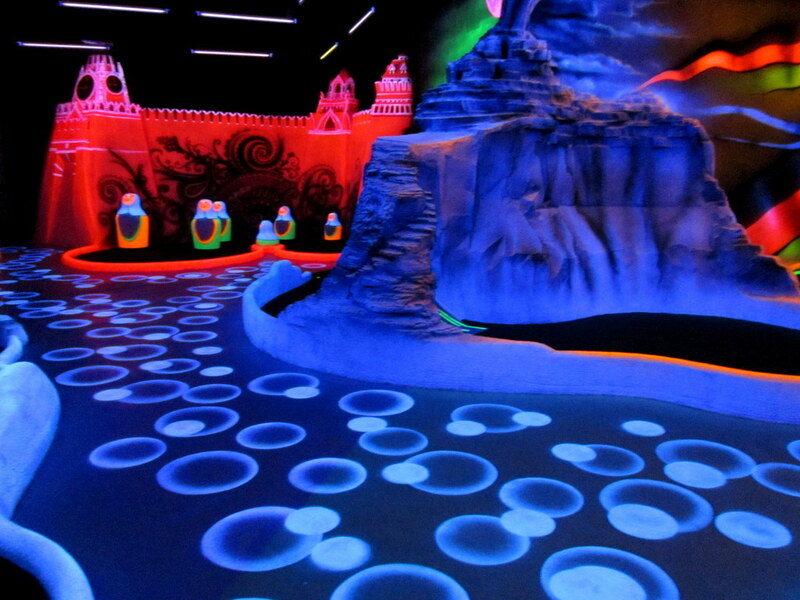 Experience shows us that this glow-in-the-dark minigolf suits everyone from 4 to 99 years old. 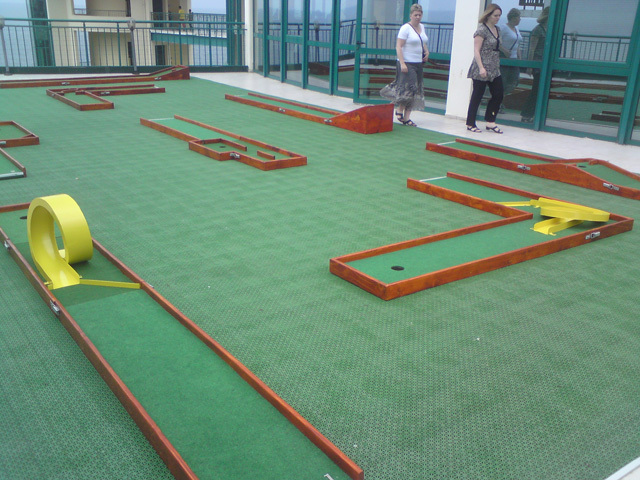 Children are the main target but teenagers and young adults love it too. 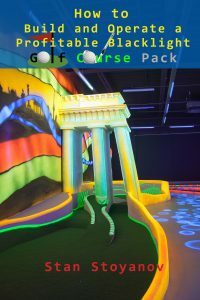 Black light miniature golf centers need only one member of staff to register players and give them the equipment they need (putters, balls and scorecards). 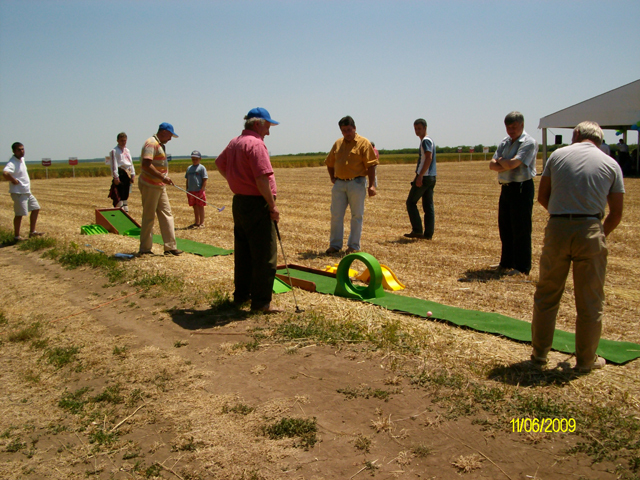 Likewise for collecting the equipment back one hour later, even at peak times. 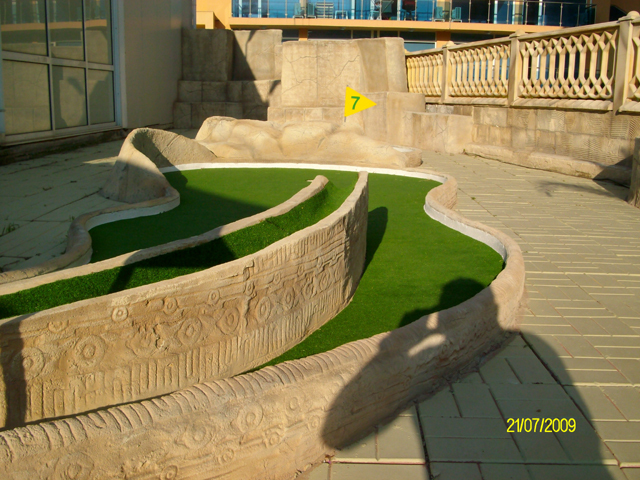 2Checkout.com Inc. (Ohio, USA) is a payment facilitator for goods and services provided by Backyard Minigolf Ltd. 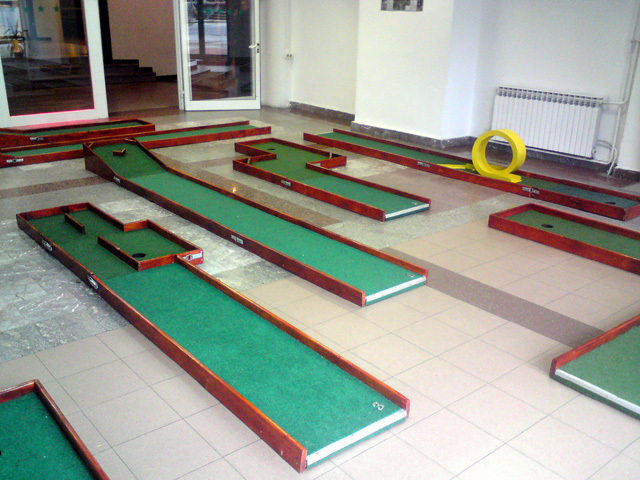 Very little maintenance ( just some vacuum-cleaning). 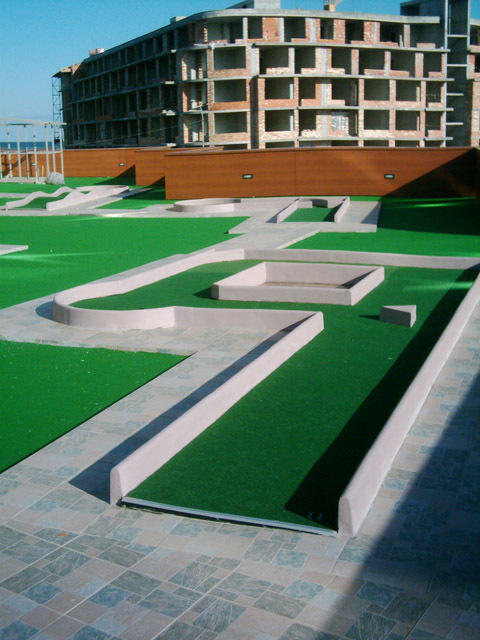 o repairs bills or technical maintenance costs (no electronics or mechanical parts). Limited investment, low staff costs, minimum running costs, no maintenance and long-life materials mean that Glow Golf is probably the best leisure industry investment you can make. 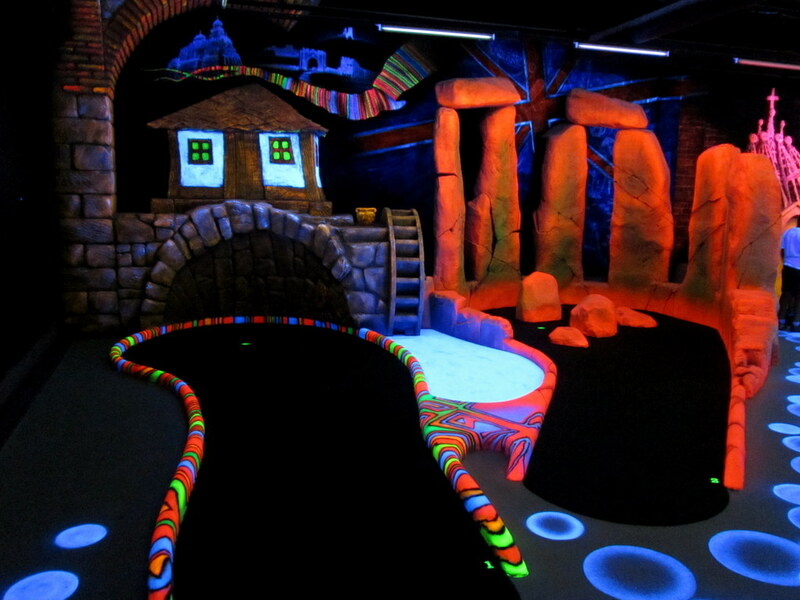 Glow Golf is the ideal place for holding a birthday party. 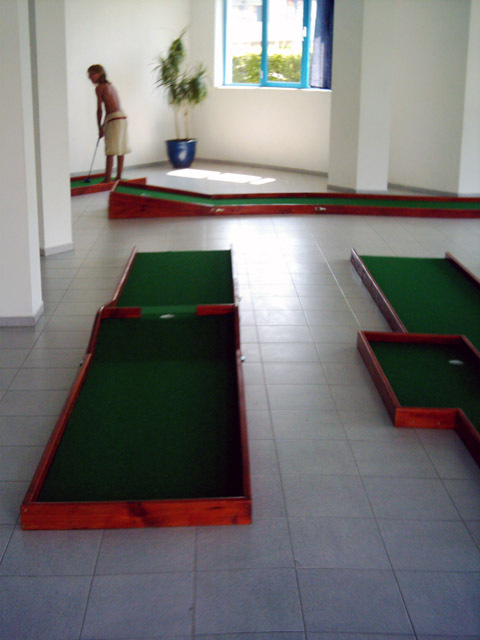 The “all inclusive” packages (the minigolf game, a cake, a drink and a small gift) go down very well at all sites. 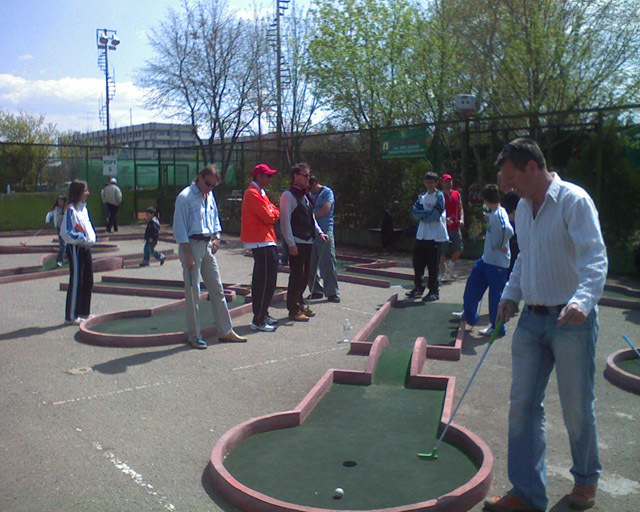 Some sites organize up to 10 birthday parties a day at the weekend and even provide entertainers. 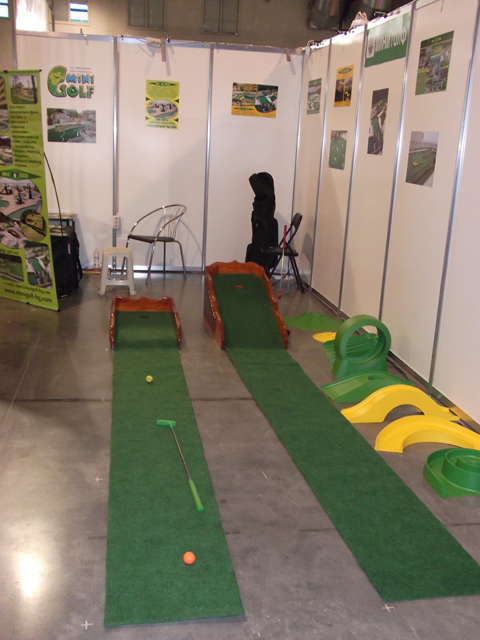 Outside peak hours, companies and institutions looking for new team-building and corporate presentation ideas can be targetted. 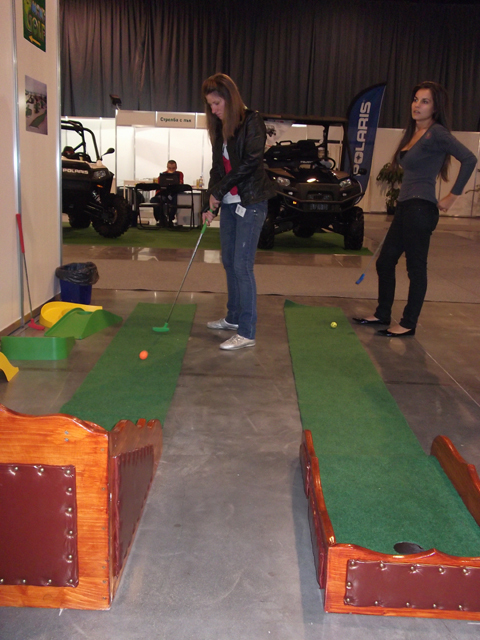 Likewise, large employers and institutions are always looking for easily arranged fun activities for their members. 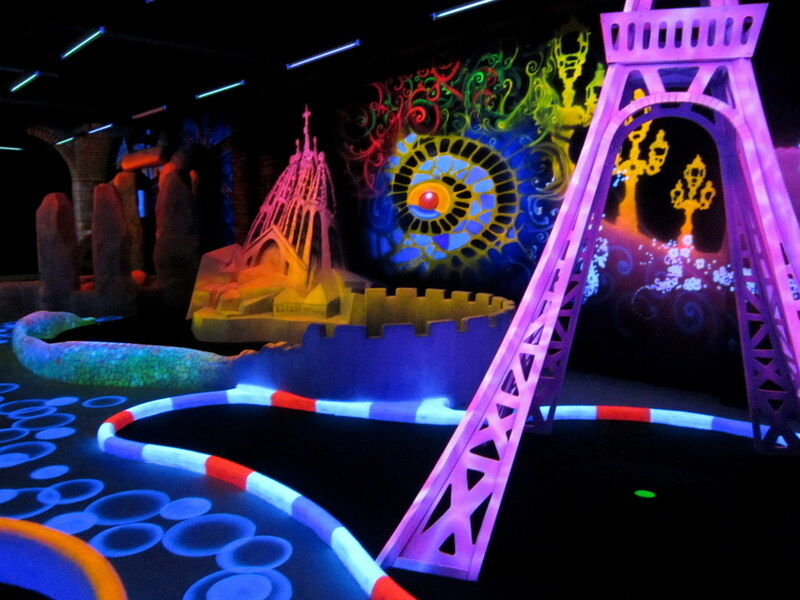 Black light miniature golf is the perfect cross-generational fun activity. 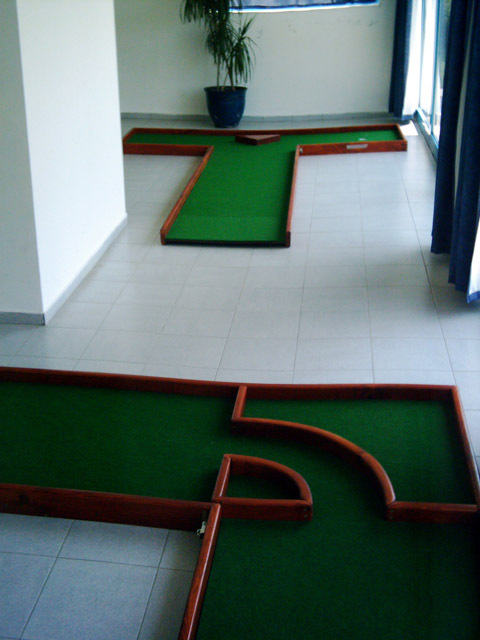 It can be played with two, three or more players. 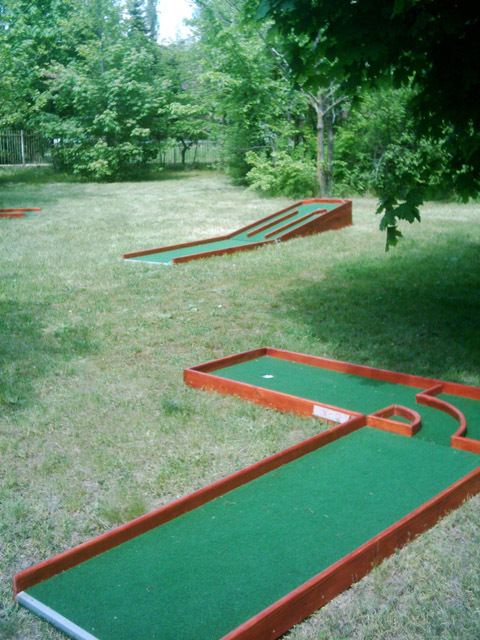 One of the few games in today’s tech-loaded world where parents and grandparents can play alongside their children and grandchildren. 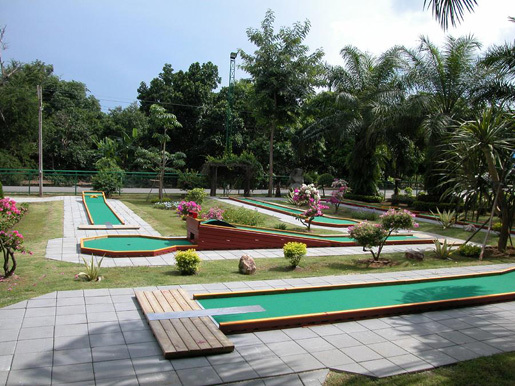 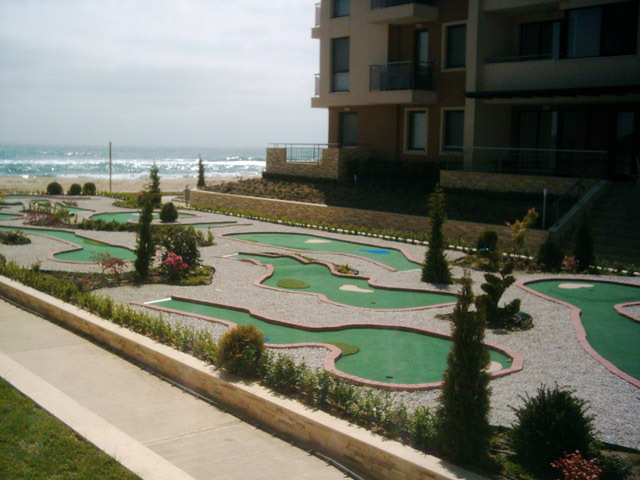 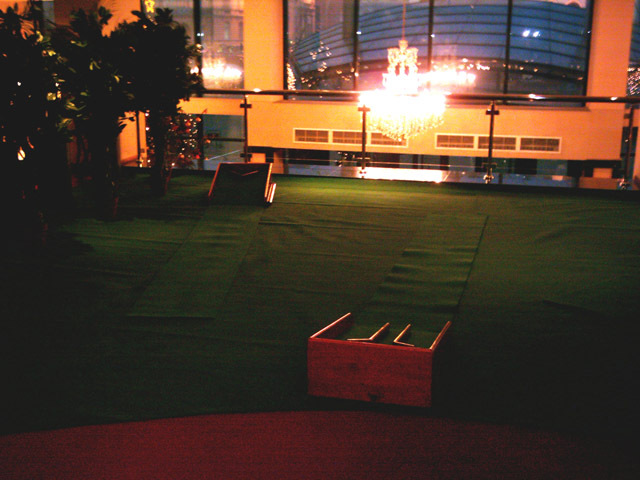 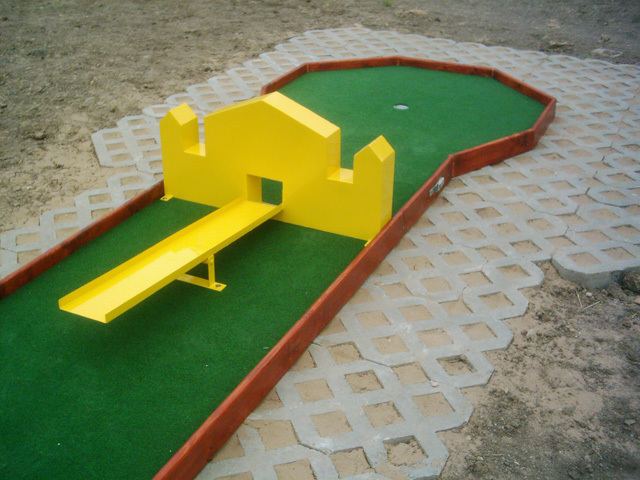 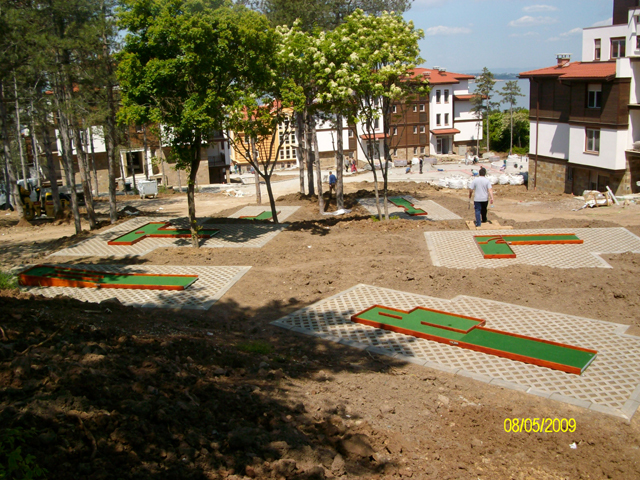 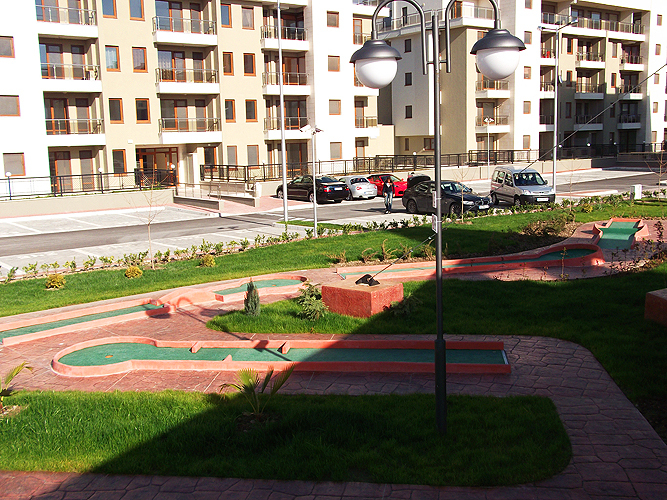 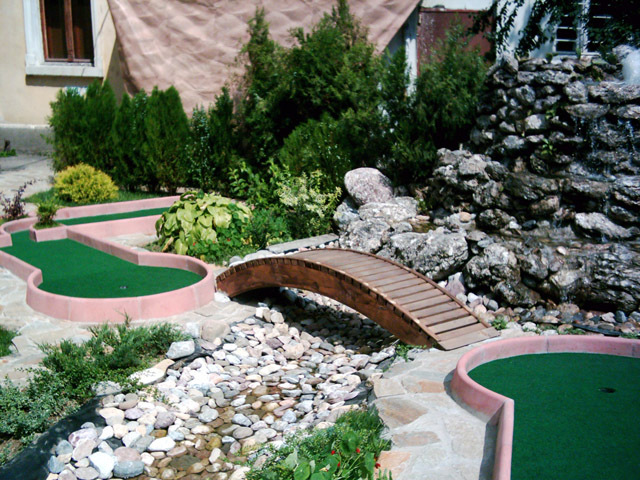 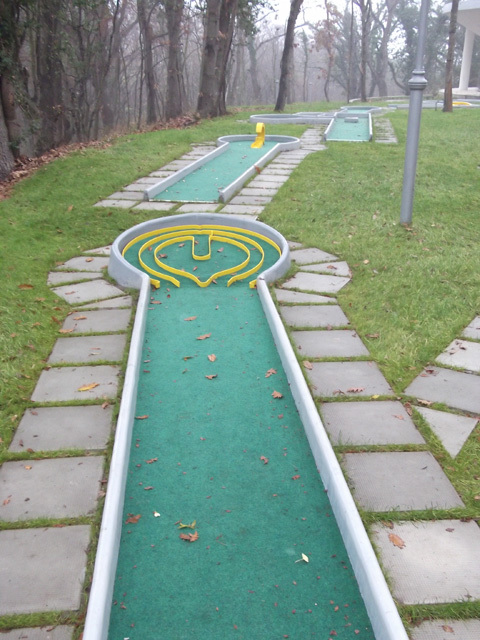 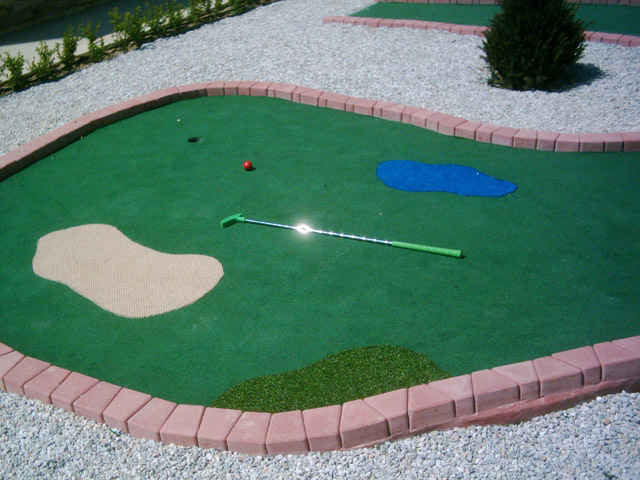 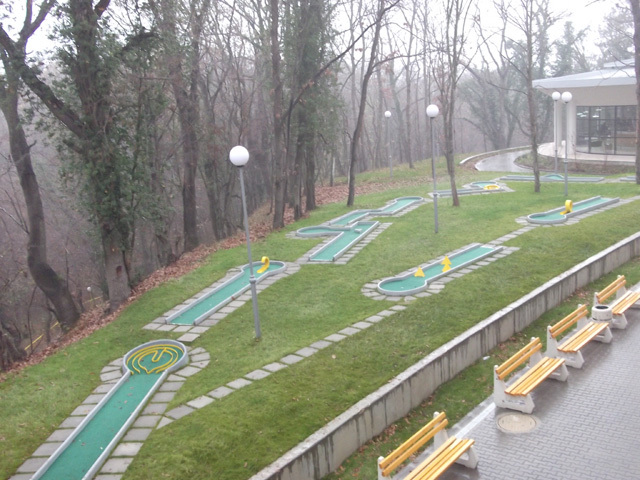 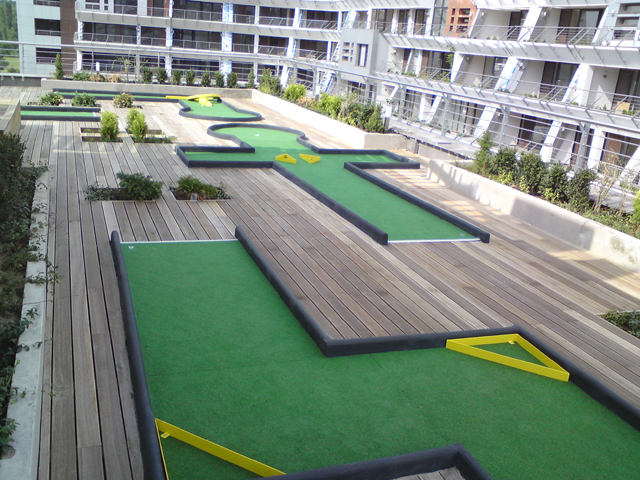 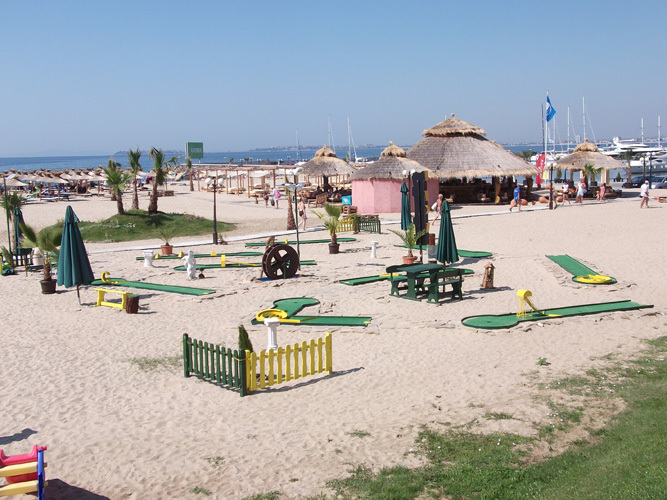 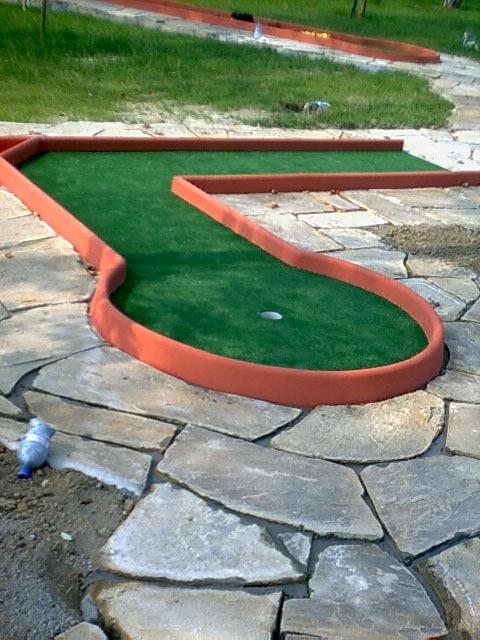 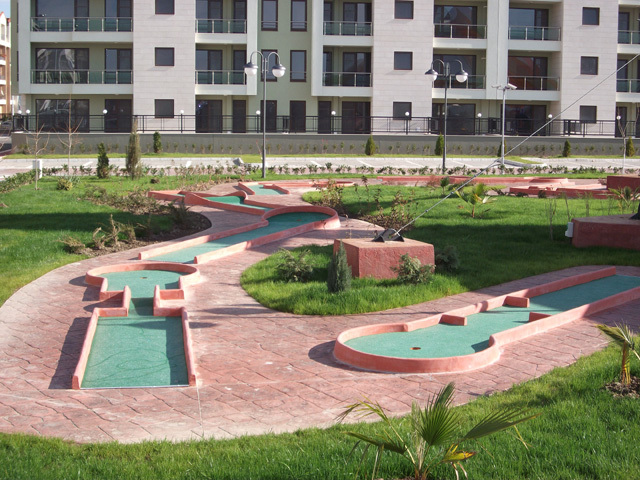 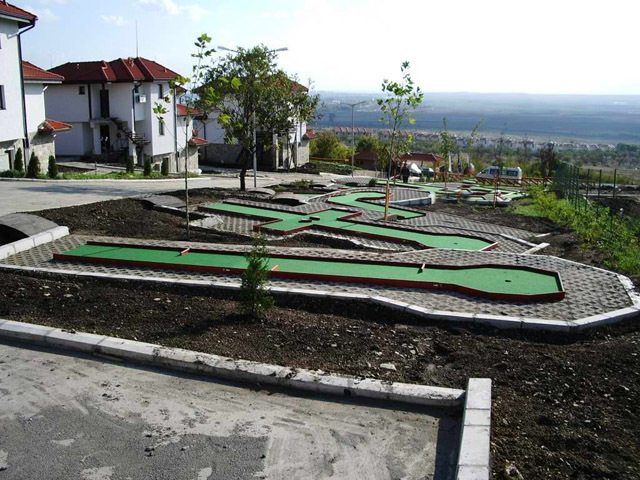 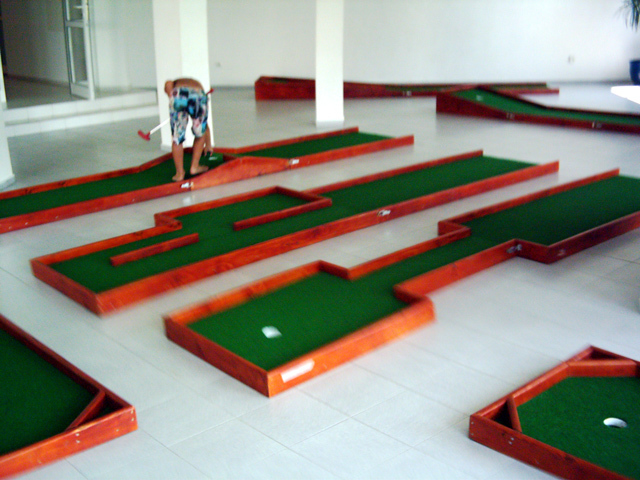 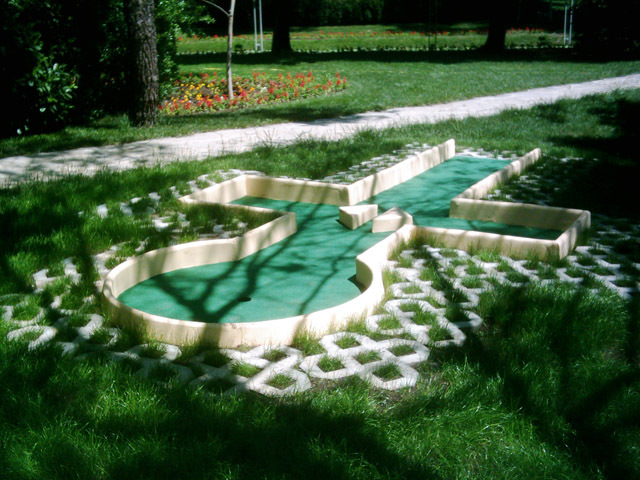 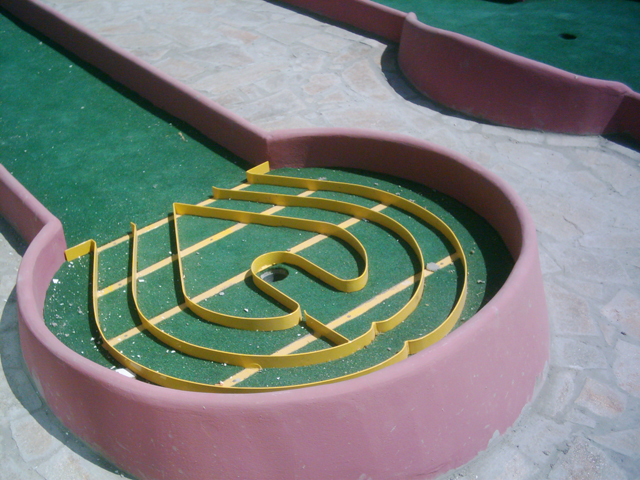 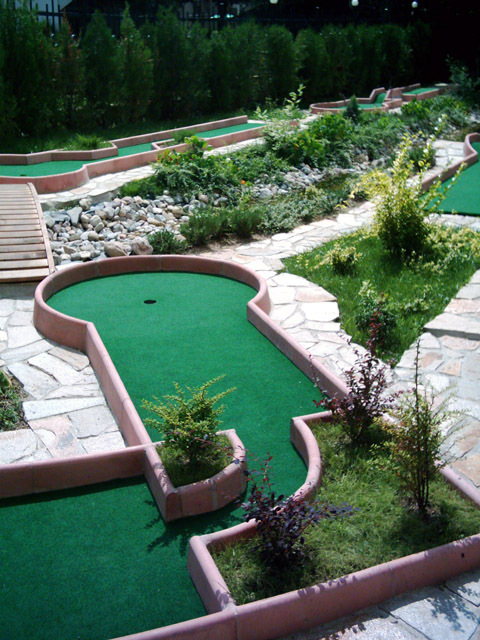 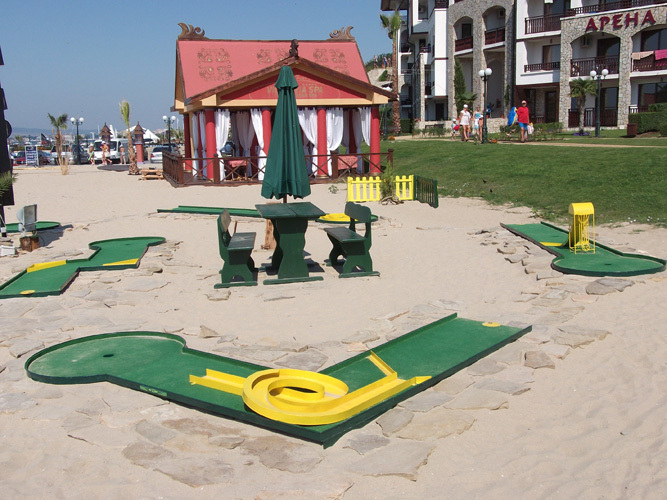 Please send us e-mail with your inquiry for more info on our miniature golf design services.